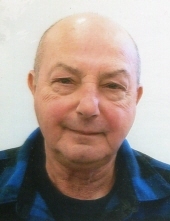 David Russell Mohr, age 73, of Cranberry Twp., passed away on Monday, February 4, 2019 in the comfort of his home, surrounded by his loving family. Born August 15, 1945 in Zelienople, he was the son of the late Wilbert and Ruthene Sidle Mohr. Dave proudly served in the U.S. Navy during the Vietnam War. He was the owner and operator of Dave’s #1 Bumpers of Cranberry Twp. for 20 years. Dave liked watching movies and loved to travel. He also enjoyed watching his Pittsburgh Steelers and Pittsburgh Pirates. Above all, he was a loving husband, father and grandfather. Dave will be dearly missed and fondly remembered. Dave leaves behind to cherish his memory his beloved wife of 49 years, Sandra L. Drake Mohr, whom he married on June 2, 1969; his two children, David Wayne Mohr of Mars, and Ursula Ann Mohr of Cranberry Twp. ; his two grandchildren, Brock and Bryce Mohr; and his brother, Paul Keith Woods of Colorado. Friends will be received from 2-4 P.M. and 6 P.M. until the time of the Celebration of Life service at 7:30 P.M. on Friday, February 8, 2019 at the Boylan-Glenn-Kildoo Funeral Home, Inc., 130 Wisconsin Ave., Cranberry Twp., PA 16066, with Pastor Reid Moon, officiating. To send flowers or a remembrance gift to the family of David Russell Mohr, please visit our Tribute Store. "Email Address" would like to share the life celebration of David Russell Mohr. Click on the "link" to go to share a favorite memory or leave a condolence message for the family.